Mobile Radiology Services Fraud Defense – Oberheiden, P.C. When most people think about health care providers, they think of brilliant and accomplished white-collar professionals who help to meet some of society’s greatest needs. But when federal agents look at the health care industry, they see criminal suspects instead. More to the point, they see people who might be overcharging the government (and therefore an opportunity to recoup taxpayers’ money – always a political gold star for any government agent). If you’re a health care professional yourself (or an executive in a health care company), the government’s attitude doesn’t exactly instill a lot of confidence. Worried that you could make an innocent mistake that might be misrepresented as fraud? Or that you might provide an expensive service and then not get paid for it? You aren’t alone. Over the last decade or so, health care fraud has become one of the federal government’s favorite areas of interest. And more recently, mobile or home health services have become especially appealing targets, including mobile radiology services companies (such as those providing mobile or at-home x-rays and other kinds of diagnostic imaging). Below, we consider why the government is so interested in these cases, recent examples of their aggressive posture toward mobile x-ray providers, the penalties for fraud, and the strategies for intervention that we can pursue as experienced mobile radiology services fraud defense lawyers. The United States Department of Justice (DOJ) has made no secret of its suspicion toward mobile radiology service providers. Again and again, high-ranking officials have identified mobile health and imaging companies as a source of costly and rampant abuse, putting particular emphasis on mobile x-ray providers. That means federal agents – not only within the DOJ but also the CMS, its various contractors, and other federal agencies – are going out of their way to carefully scrutinize incoming claims from mobile radiology providers. Therefore, the need for vigilant mobile radiology services fraud defense has never been more pronounced. 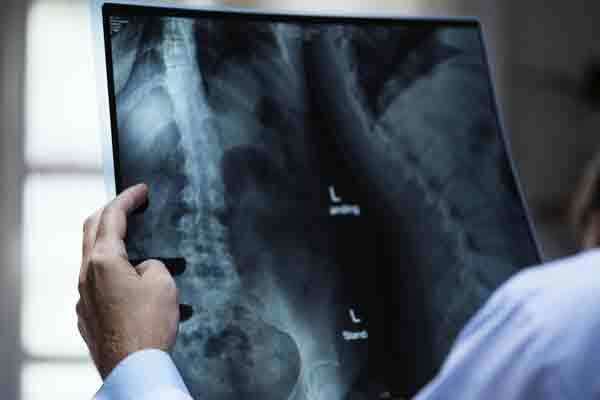 When Will Medicare Pay for Portable X-Rays? The doctor’s order must state the need for the portable services. Transporting the equipment to the beneficiary’s location – Once per trip to a particular location. If the provider sees multiple patients at the same location in the same trip, the provider will still only be reimbursed for the transportation cost once for that trip. The transportation and setup components account for the bulk of Medicare’s spending on portable x-ray services. What Are the Red Flags of Mobile X-Ray Fraud? In describing a 2011 analysis of mobile radiology services fraud, the OIG identified eight characteristics of “questionable billing patterns” that might lead the government to investigate a portable x-ray provider. In 2009, two Las Vegas-area radiologists reportedly entered into a $2 million settlement with the OIG, which had accused the providers of violating the False Claims Act. Specifically, the OIG had alleged that the doctors billed Medicare for medical imaging tests that had not been ordered by a duly licensed physician or which otherwise failed to meet the federal guidelines for coverage (as outlined above). But the doctors insisted that their own poor recordkeeping – not fraud or deceptive intent – was to blame. “It looked as though I was doing this astronomical amount of business,” Dr. William L. Boren told Diagnostic Imaging at the time. But he wasn’t. It didn’t matter. The feds had him on the hook for fraud. How Can a Mobile Radiology Services Fraud Defense Lawyer Help? Even if your billing records don’t seem to add up, fraud is not a foregone conclusion. To convict you of the criminal offense of fraud, the government will have to prove your intent beyond the shadow of a doubt. Of course, in many cases, it’s money the government is after. Sure enough, a fraud settlement can end your career, ruin your finances, and leave you or your organization millions of dollars in debt to the government. But there may be other avenues toward resolution, and the government may not be able to meet its own standards for disputing your claims in the first place. From compliance advice to regulatory and criminal defense, an experienced mobile radiology services fraud defense attorney at Oberheiden, P.C. can help. Our team of former federal prosecutors have a long track record of defending health care providers and medical executives against fraud investigations. Don’t face the government alone. Call our mobile radiology fraud defense team today. Our Main Office is located in Dallas TX. However, we have meeting locations, by appointment, throughout the nation.